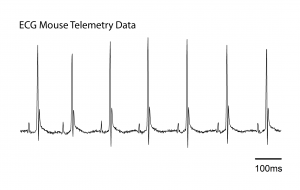 Kaha Sciences Mouse Telemetry System enables measurement of biopotential (ECG, EEG or EMG) signals in long-term studies. Single-use telemeters bring affordability and efficiency to wireless monitoring and eliminate the need to explant, clean or refurbish. Minimize downtime between studies and make more time for data analysis and publication.  Kaha Sciences mouse telemetry is ideal for high-volume studies that require high-quality biopotential data. It can be used with mice, >22 g, living in their home cages and is compatible with any data acquisition and analysis systems. 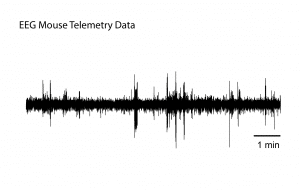 Why Kaha Sciences Mouse Telemetry? Digital data transmission and a sampling rate of up to 2 kHz provide unmatched data quality and a higher temporal resolution. 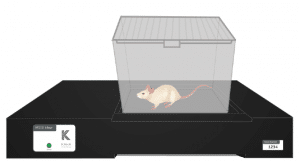 Accurately measure parameters that are traditionally restricted to acute or tethered experiments from animals living in their home cages. Use the index of animal activity to help interpret data and refine research protocols.